William Green had it all: fortune, fame, and four seasons playing football in the NFL. A 6-foot 215-pound running back for the Cleveland Browns, Green’s career was a success, yet he still felt unfulfilled, like something big was missing. Green had come a long way from an insolvent childhood plagued with pain and hardship. Born and raised in Atlantic City, both of his parents fell victim to AIDS. That left the young man of 13 in the early 1990s questioning his faith in God, begging for answers and healing. Unable to bear watching his mother suffer from the disease, Green prayed to trade places with her. Growing up, football became Green’s god, and his teenage years at Holy Spirit High School in Absecon were spent drifting away from the faith of his childhood. He played for his school’s football team and received multiple high school All-American honors before receiving an athletic scholarship to attend Boston College. There he played for the school’s Eagles football team from 1998 to 2001. In two years as a starting running back, he compiled over 2,700 yards rushing and 32 touchdowns. In 2000 and 2001, Green was a first-team All-Big East Conference selection and was honored as the Big East Offensive Player of Year. 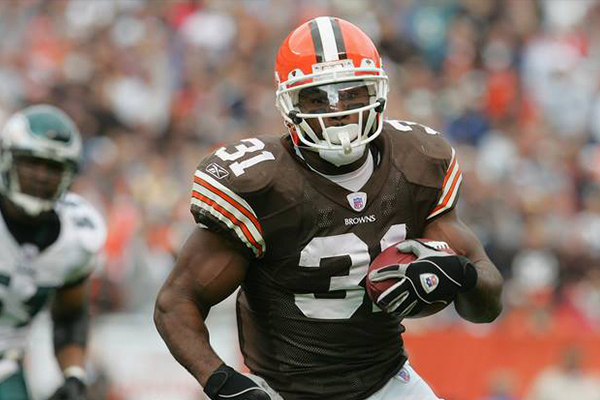 In the 2002 NFL Draft, Green was a top-rated player selected by Cleveland. The patience and will power displayed by Green’s wife, Asia, left a profound impact on the NFL star’s life. The couple had been together since high school; Asia having lived through her husband’s struggle to find peace, purpose, and fulfillment. After his second year in the NFL, she began sharing her faith. “Her love and patience moved me,” Green said. “I decided I needed to give this God thing a chance.” After years of drifting from “fleeting satisfaction” and “temporary void-fillers” Green finally found fulfillment and wholeness in Christ, returning to the faith of his childhood. Green became a motivational speaker at corporate, church, and school events and was ordained a minister in 2012. He will take the stage this fall at IGNITE in Wildwood, sharing his story of “true conversion” and what it means to have a real relationship with Christ. Green wants students to leave IGNITE assured of God’s spirit. Despite being introverted, he believes God has called him to step out and share his story. He plans to share his testimony and encourages both youth and leaders to do the same, making the weekend conference a comfortable place to “show off scars” and “reveal the healer” leaving with a greater reliance upon God.